car_brand_image - Alfa Romeo 100. Where to? In the past, the success, and as a consequence, the fame of Alfa Romeo came when the company was a trend setter and not a follower, when independent thinking and innovation was the norm and the whole business was different. Not just different from what it is today but also different from the competition. Those were times when people desired an Alfa Romeo product because it was an Alfa Romeo, not because it was better than the competition’s. This is not the first time the Milanese brand goes through hard times. In 1932, after the company went broke, the Italian government took control of it. With the state help, in the 1930s Alfa Romeo becomes a national emblem, creating vehicles for the wealthy. Bodies were built by famous houses like Touring and Pinin Farina. This is the time of the 8C series with outstanding styling and great competition performances. After the war, the tradition of innovation and motorsport successes continues, with cars like the Alfetta 158, GTA, Tipo33, Giulia, Alfetta, GTV and Spider, to name just a few. The company remains a stand-out business, a combination of pure Italian engineering, styling and driving experience. The mid ‘70s represented a turning point in the automotive industry. Businesses realized that the oil on earth is not endless, that pollution matters, as safety does, consumer tastes change and nothing is eternal. Some companies, like BMW, used these changing times in their favor, improving the business and raising the brand to new levels, others, like Alfa Romeo, were less fortunate and went the other direction. In 1986, due to its financial troubles, Alfa Romeo becomes part of the Fiat Group, as Alfa Lancia Industriale SpA. 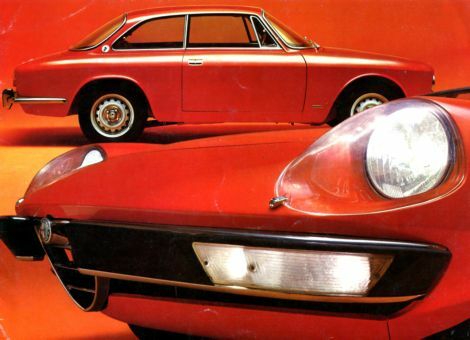 Product rationalization followed and the Alfa Romeo changed from being different to being a better Fiat. Not enough for the Alfisti and not enough for the brand itself. As many other cases demonstrated in the automotive history, this kind of rationalization makes perfect sense on paper, as pure numbers, but, for brands like Alfa Romeo, the reality is different and product rationalization doesn’t bring the expected results. “Idea brands don’t try to compete. This is the key. They are more interested in separation than comparison. And so regardless of whether they engage us or enrage us, these are the brands that make us mindful again“. This is the difference between Fiat and Alfa Romeo. Fiat has a product, the design of which has been commoditized, competing mainly on price. Fiat is the type of company where, using a quote from Youngme Moon, “…business professionals have become so practiced in a particular way of doing things that they appear to have forgotten the point of it all – which is to create meaningful and compelling product offerings for people like you and me. This is not to say that these folks lack the requisite business skills; rather, it is to say that they have become almost too proficient, in the same way that a well-oiled production system can be scarily proficient at churning out one perfectly identical clone after another”. There is nothing wrong with either of these two business types, as they both play an important role in our economy but, as Youngme Moon says “…the brands that manage to stand out from the blur will always constitute a minority set; the current of competitive conformity is too powerful for this to be otherwise”. And that is exactly the problem with stand out brands like Alfa Romeo when they are taken out of their minority set and forced to play in the powerful competitive conformity set. They just don’t fit, consumers don’t recognize them and don’t appreciate them anymore. There are, in the minority set, several other brands, like Saab, Volvo, Subaru, Jaguar, which became memorable for their stand out position, to fall into a blur later, when taken into the competitive conformity by big businesses. There are speculations floating around about Volkswagen being a better partner for Alfa Romeo. While Volkswagen would be a richer parent and a better manager, and overall would improve substantially Alfa’s situation, money doesn’t automatically bring happiness. Within Volkswagen, or within any other corporation, could Alfa Romeo make the difference, like it did in the past? Again from Moon: “In order for the difference to make a difference, not only must there be some kind of departure from the mean, but the departure has got to carry enough significance to be meaningful. It’s got to reverberate, in other words”…”For difference to be charismatic, it’s got to deviate and it’s got to resonate”. An independent Alfa Romeo makes a lot more sense. 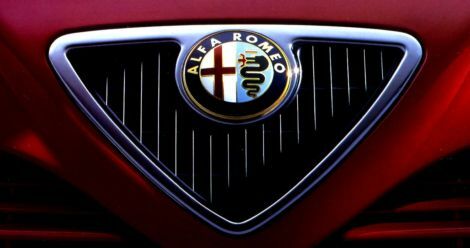 An independent Alfa Romeo will be more significant and will resonate much more than one being part of a big corporation. Perhaps, to be independent it needs investors and to get investors it needs a top-notch management who lives Alfa’s culture, not the corporate culture, because (quoting Moon) “Differentiation is not a tactic. It’s not a flashy advertising campaign; it’s not a sparkling new feature set. It’s not a laminated frequent buyer card or a money-back guarantee. Differentiation is a way of thinking. It’s a mindset. It’s a commitment. A commitment to engage with people – not in a manner to which they are merely unaccustomed, but in a manner that they will value, respect, and yes, perhaps even celebrate”. Another great Article Lucian. Inspires some good thinking around brand development and management. your analysis is good…I believe that soon we will have some news about Alfa Romeo future…is just a coincidence the fact that VW bought Giugiaro Italdesign facilities? VW Chairman Ferdinand Piech has set his sights on Fiat’s Alfa Romeo as the next brand in his vast automotive empire. “We are patient and have time … you won’t hear anything in the next two years,” Piech said when asked about speculation VW is interested in Alfa”.”Alfa is the one brand with the biggest potential for improvement,” Piech said. “Let them wait,” was Marchionne’s reaction to Piech’s comments. “If someone comes with 1 billion euros ($1.4 billion)… But I am joking, I have no intention at all of selling Alfa,” he told reporters at the Paris auto show. It will be interesting to see how all this evolves. You are currently reading Alfa Romeo 100. Where to? at car_brand_image.